The absolute frequency of the length standard at 514.67 nm based on the molecular iodine (127I2) transition of the P(13) 43-0 component a3 is measured using a self-referenced femtosecond optical comb. 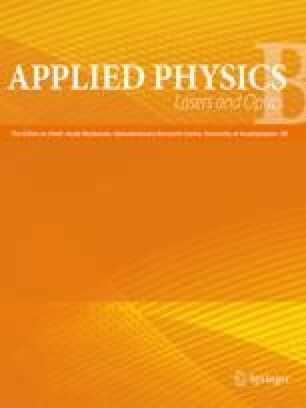 This frequency-based technique improves measurement precision more than 100 times compared with previous wavelength-based results. Power- and pressure-related frequency shifts have been carefully studied. The measured absolute frequency is 71.8±1.5 kHz higher than the internationally accepted value of 582490603.37±0.15 MHz, adopted by the Comité International des Poids et Mesures (CIPM) in 1997.